The name Swansea is believed to have come from 'Sweyn's Ey', a Germainc word for island and originated in the period when the Vikings plundered South Wales. 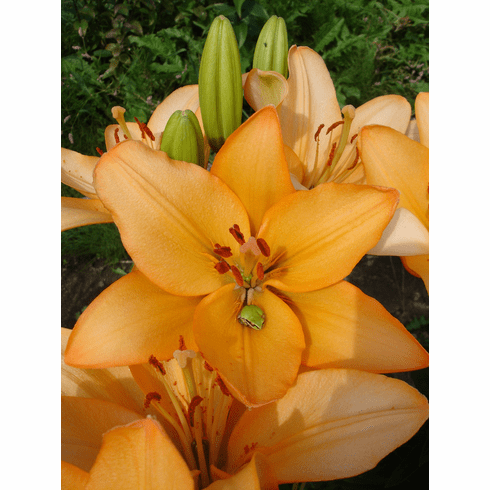 For those who love the orange-apricot/melon colors of 'Copper King' in your late July garden, this is a perfect choice for an earlier blooming example in this color group. 3 to 4 Feet. June to July Flowering. Light Fragrance. When we went out into the field one morning for a photo shoot, we found this 'Swansea' had attracted a little visitor during the night.